If you’re a sufferer of pain in your joints or muscles, you may also be experiencing headaches. You may pass that off as unrelated, thinking that it’s to do with your stress, your job, or something else. But it’s also quite likely that your headaches have been triggered by the pain you are suffering. One reason may be indirect, such getting a headache from not sleeping well due to your joint or muscle pain. It may also be a direct link that’s causing your headache. Depending on where your pain is located, it’s likely connected to the headaches you’re having. For example, back pain sufferers may experience headaches of varying severity because of the stress the pain is placing on the spinal cord and the nerves that snake up and down the spine. Neck muscles that are strained can cause tension leading to the big, heavy object balanced on top of the neck: your head. Aim to have good back posture to reduce the strain on your neck and your muscles, which can help to reduce your headaches. If you are suffering from pain anywhere in your body, you likely have a very high sensitivity to pain. Scientists have found evidence suggesting that people with high pain sensitivity are likely to have tension headaches, which is mild to moderate in terms of pain. These headaches are also often linked to increased muscle tenderness, which only compounds to the overall pain you experience. There are no cure-all solutions to these types of headaches, but one recommendation is to treat the underlying pain and its causes. Improving your lifestyle to reduce any strain on your body, sleeping well and eating right can make a huge difference, as well as visiting a doctor or a chiropractor to help relieve your pain in the long run. 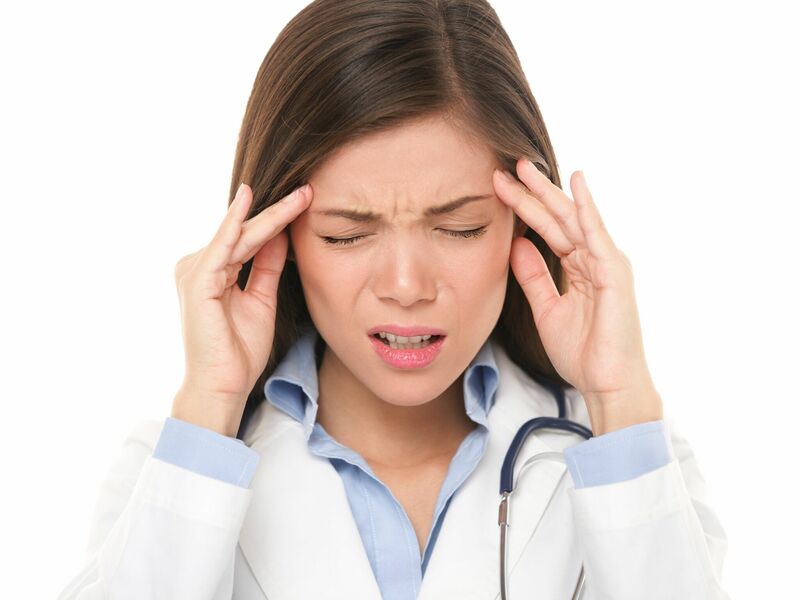 Come see us at John Hart MD to see how we can help you treat your pain and reduce your headaches with our team of medical professionals.